Prothane's polyurethane bushings are both wear and contamination resistant, this makes them perfect for not only restoring your vehicle, but also making it last much longer. As stylish as they are powerful, muscle cars like the Dodge Challenger, Dodge Charger, and Chrysler 300 are designed to leave a lasting impression. When they are new these cars can do that with ease.  However, after a while their heavy bodies combined with various driving conditions will start to wear them down. 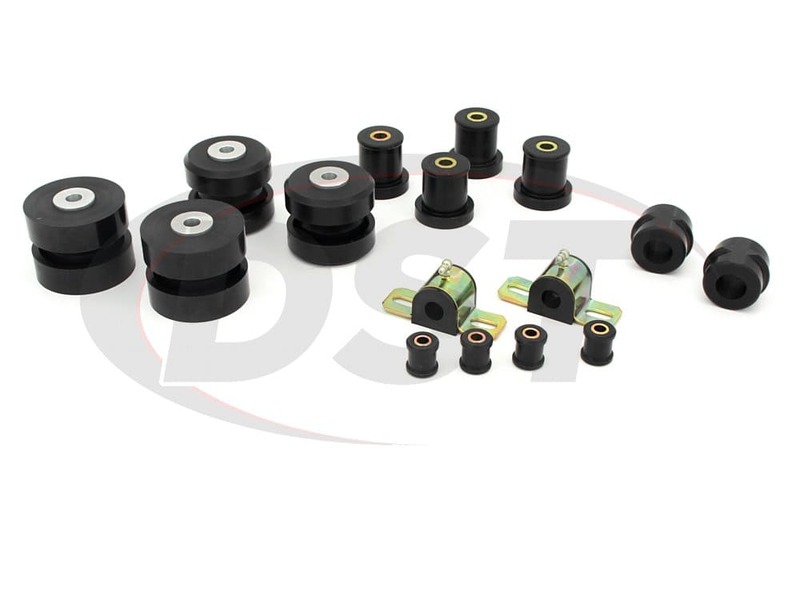 Things like loose steering, your ride pulling to either side, or excessive leaning while taking corners are all signs of worn out suspension bushings. 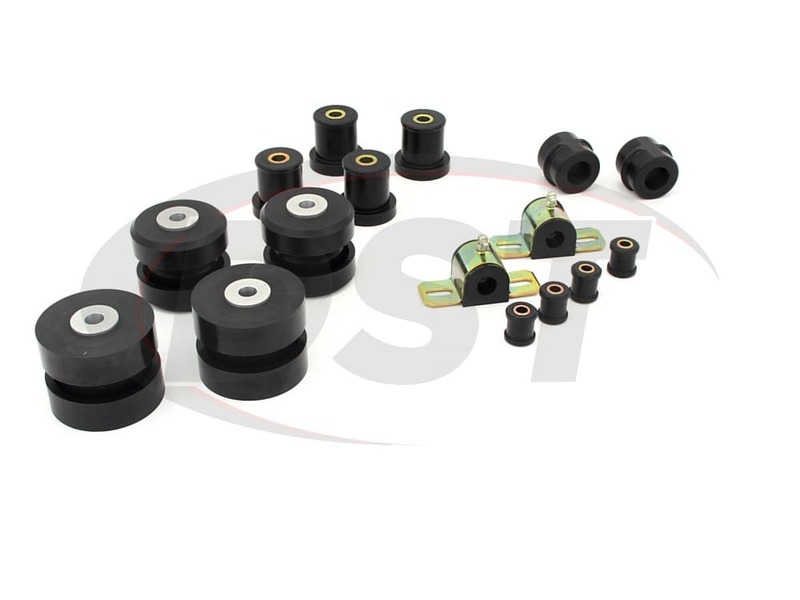 As these bushings wear down, more pressure is placed on surrounding suspension components, potentially leading to more dangerous situations. 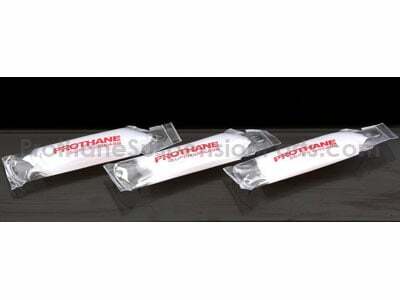 Before the damage becomes excessive, check out what Prothane has to offer. 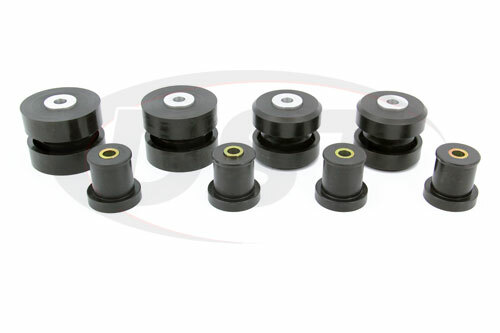 This is Prothane Package Deal 015, a set of polyurethane suspension bushings for the 2012 - 2014 Dodge Challenger, Dodge Charger, and Chrysler 300. 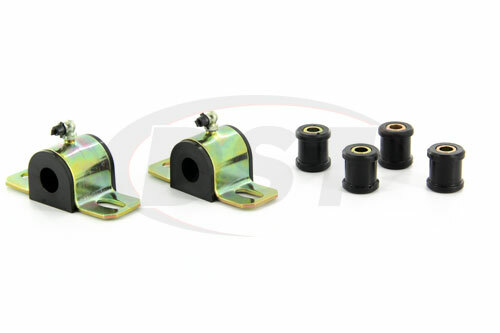 In this kit we have the front control arm bushings, front sway bar bushings, and the rear sway bar and endlink bushings. 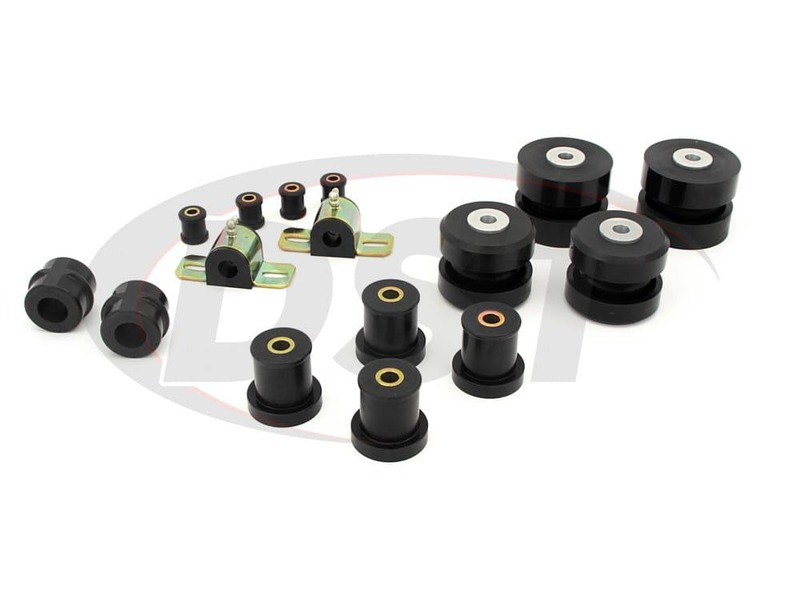 As you've probably noticed, Package Deal 015 has a few options for the front sway bar bushings. Sometimes manufacturers use several different sizes of sway bars on certain vehicles. Because of this, the only way you can be sure which size sway bar bushing you need is to measure your sway bar. In the description below there will be a link to our free print-out sway bar measuring tool. Simply wrap the tool around your sway bar to get the size and select the appropriate option. Rapid tire wear, loose steering, and unpleasant clunks underneath your vehicle are all signs of worn front control arm bushings. 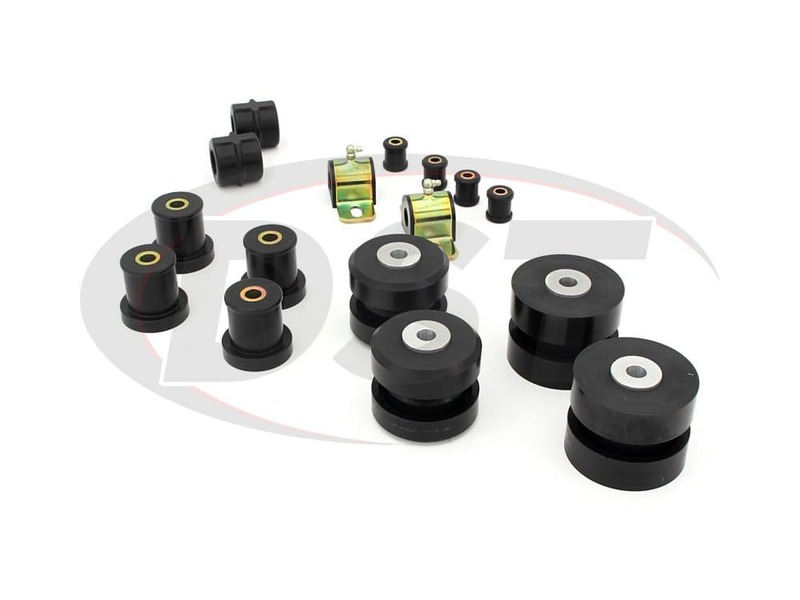 The OE bushings installed on your vehicle are made of a soft rubber that's prone to stretching and cracking over time, eventually rotting away completely. Prothane's polyurethane bushings are both wear and contamination resistant, this makes them perfect for not only restoring your vehicle but also making it last much longer. If your car feels like it's leaning more than it should as you head around turns, then your sway bar bushings have probably worn down. 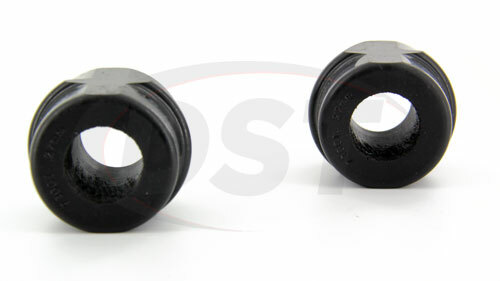 Made of the same soft rubber that your control arm bushings are made of, these bushings will warp and fall away. This renders your sway bar not only useless but since it's now loose it could bang into other chassis parts, causing additional damage. 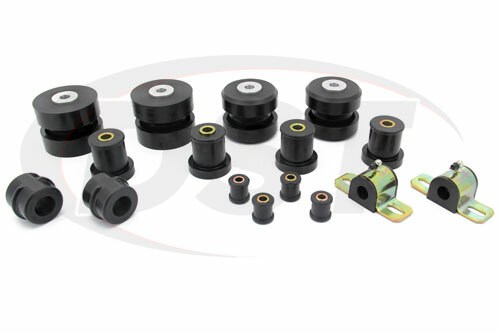 With Prothane's bushings installed, your sway bar is much more dependable and it will even perform as if it were a size larger. 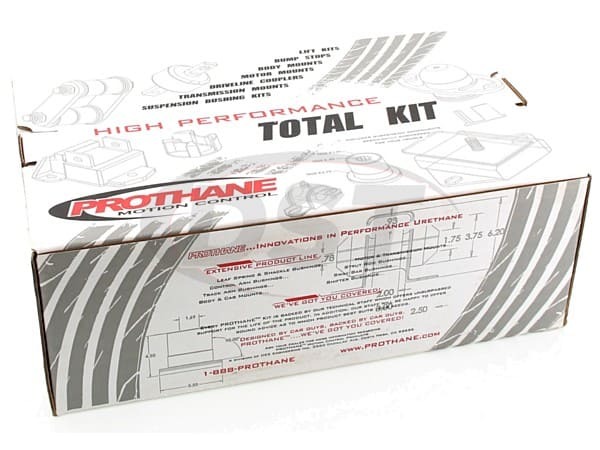 All of the parts in Prothane Package Deal 015 are covered by Prothane's lifetime warranty handled in-house here at DST. 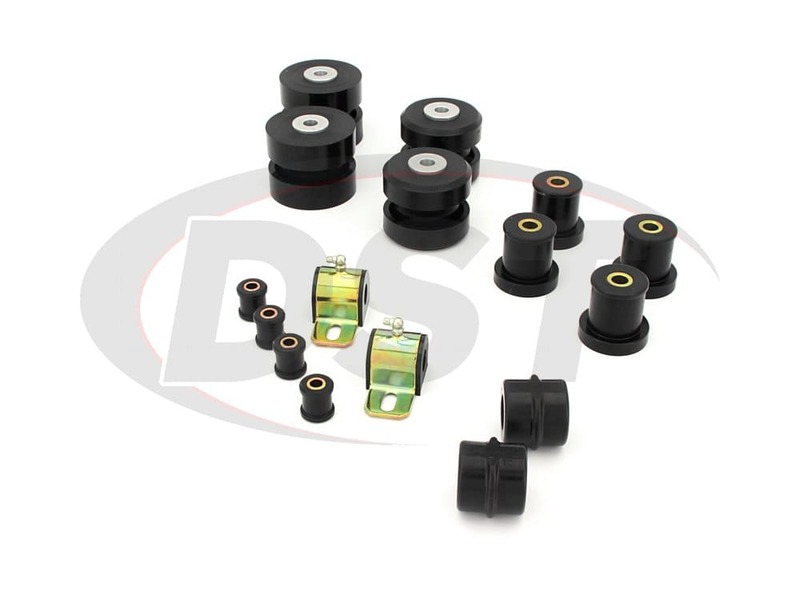 Does the bushing kit come with the lower strut mount bushings for the front lower control arm? This kit does not include the lower strut mounts. None of the manufacturers we offer has that bushing.